Our GPS Vehicle Tracking Solution will give you the ability as a fleet manager to reduce the cost of your fuel and increase your profits. We have identified below the five main areas where fuel savings can be made. When drivers let their engine idle during the day they are getting 0 mpg. 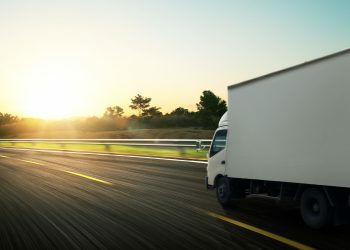 Drivers can get into the habit of leaving the engine running when they make their deliveries or stops. Reducing unnecessary engine idle time is a highly-effective way fleet operators can save fuel costs. Using a vehicle tracking solution to highlight time spent idling and implementing a change of behaviour in your drivers results in significant reduction in fuel wastage. The more your drivers speed, the higher your fuel bill will be. Excessive speeding is dangerous and burns extra fuel, adding risk and expense to your overall fleet operations. Our GPS vehicle tracking solution has been developed to the point where we have integrated the latest available maps and speed limits to help companies track actual vehicle speed against set speed limits. Leveraging this data to decrease speeding occurrences reduces fuel consumption and results in increased profits. Experts advise that frequent harsh acceleration and braking could be costing your fleet an extra three miles per gallon . Driving pattern plays a key role in fuel consumption and a steady pace driving means lower fuel consumption. Our GPS Vehicle Tracking solution monitors braking and acceleration and generates easy to read reports allowing you to use this information to ensure your drivers eliminate unsafe driving practices. When dispatching jobs your aim is to choose the quickest route and the nearest available driver, this becomes more challenging when the stops are subject to frequent change. Our GPS vehicle tracking solution supports routing and helps you choose the most direct route to jobs and the nearest vehicle, thus eliminating unnecessary kilometres driven and fuel wastage. Our GPS Tracking Solution allows you to integrate your Fuel Card with our GPS data – this allows you to have total control of your fuel costs and helps to reduce fuel usage. We provide you a suite of reporting tools, which can be automatically scheduled to arrive in your inbox, making it easy for you to verify fuel card reporting data and better manage fuel usage and expenses.